Crossing Hinkle Creek a few mornings ago, I happened to glance down and find the surface of the water almost entirely hidden by something green. 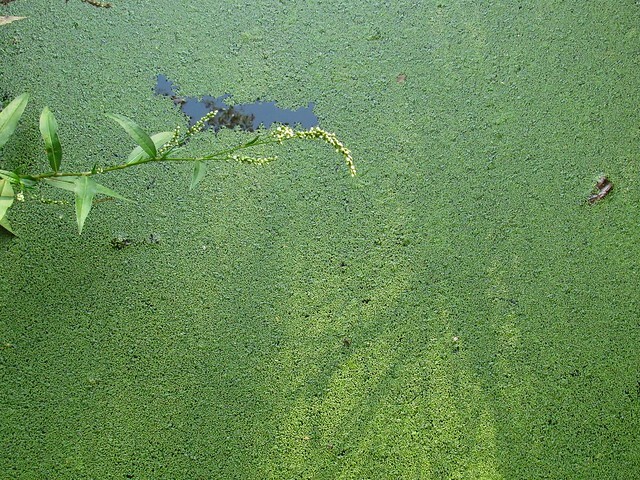 I crouched on the bridge for a closer look and found duckweed, also known as Lemnoideae. This tiny little water plant, all too easily overlooked, is actually a surprising mini powerhouse of problems and possibility. 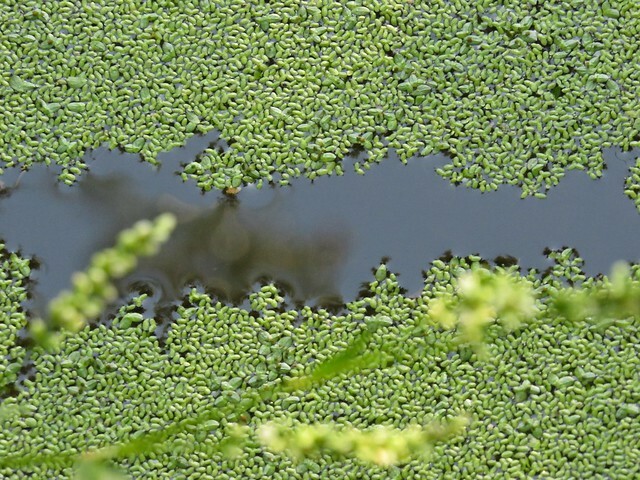 Duckweed is sometimes considered an aggressively invasive species, but under the proper conditions it’s also an indicator of healthy wetlands. 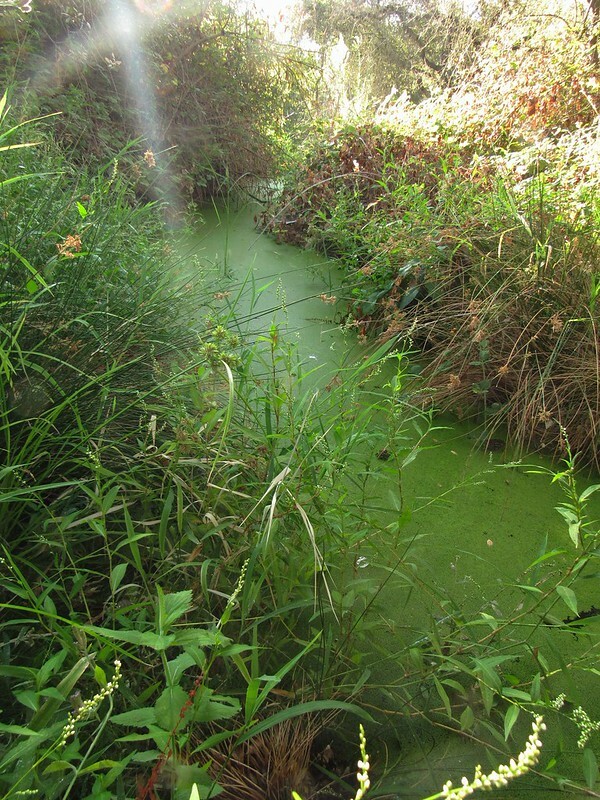 While it can choke out light and oxygen to the detriment of other plants and fish, it’s also a good food source for waterfowl and protection for smaller fish and tadpoles. These diminutive green pods also (per sources cited on Wikipedia) contain more protein than soybeans and may be useful in wastewater management and vector (mosquito) control. 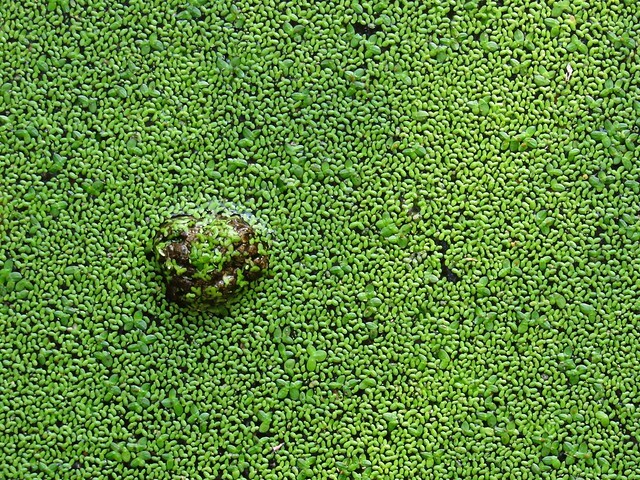 Further, some people believe that duckweed has potential as a biomass bio fuel at some point in the future. And all this from a mysterious substance I might have easily labeled “pond scum” without a second thought! I’m glad I took a closer look. Great photos and article, Christine!